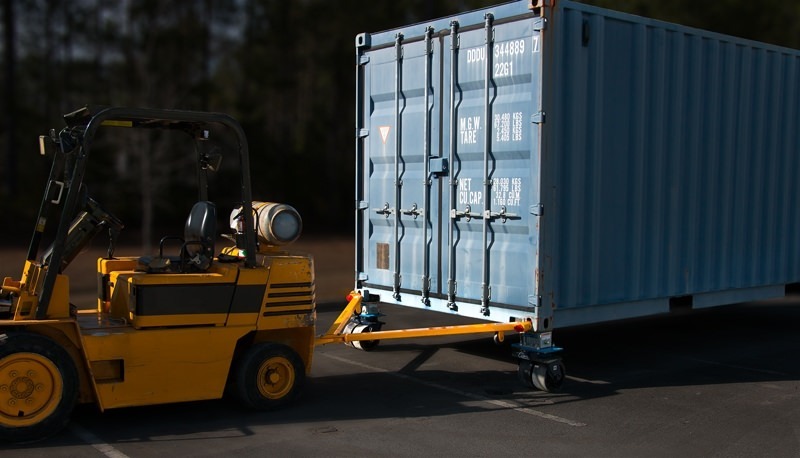 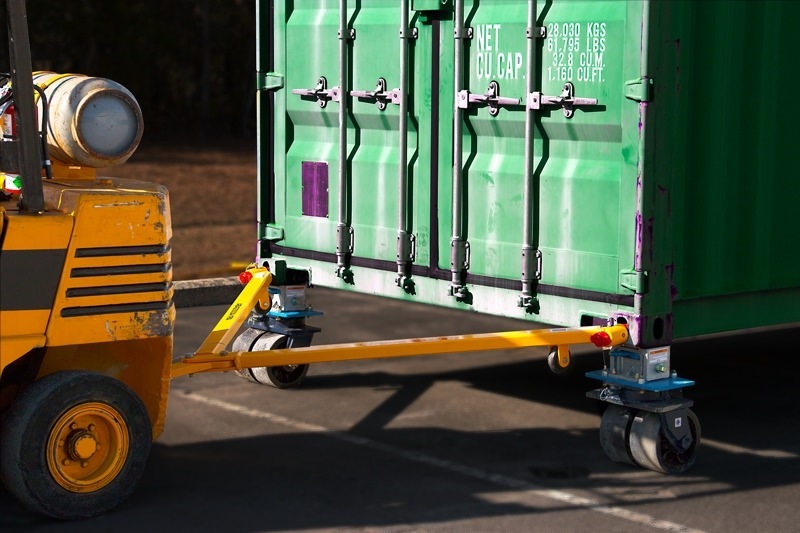 Another example of our ability to customize our products, our standard towbar was retrofitted to fit a unique ISO container that had a 6ft width footprint. 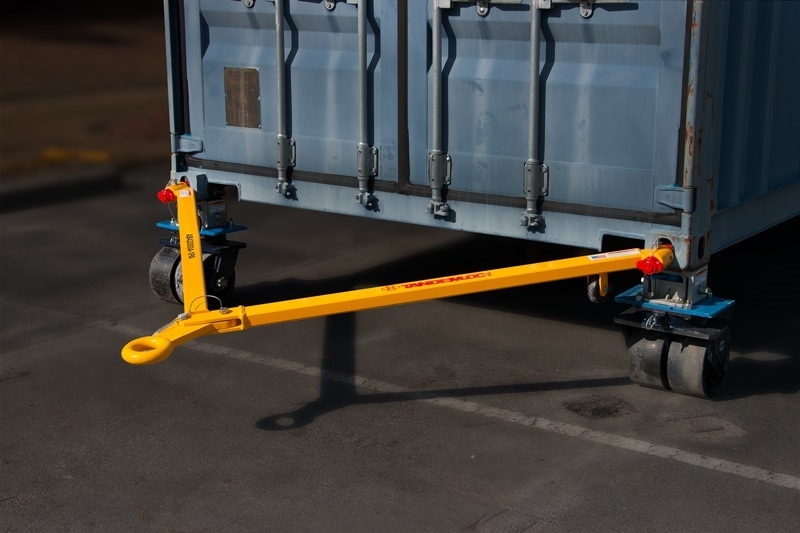 Special twistlock towbar designed for pulling 6ft wide carts or special containers. 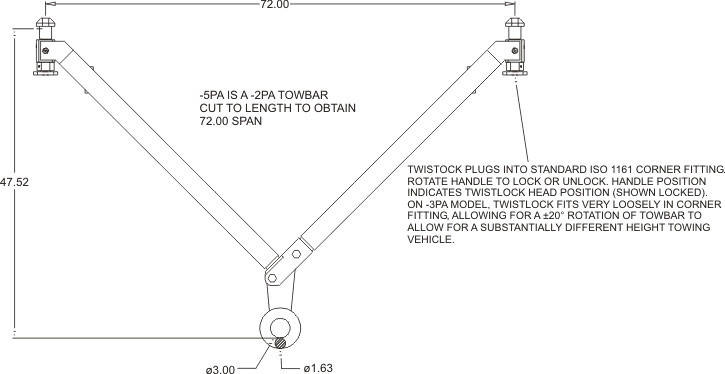 Twistlocking ends quickly secure to the bottom end apertures of ISO 1161 corner fittings. 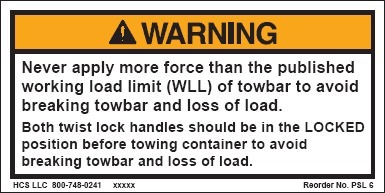 This special towbar can tow loads weighing up to 70,000 Lbs in both forward and reverse. 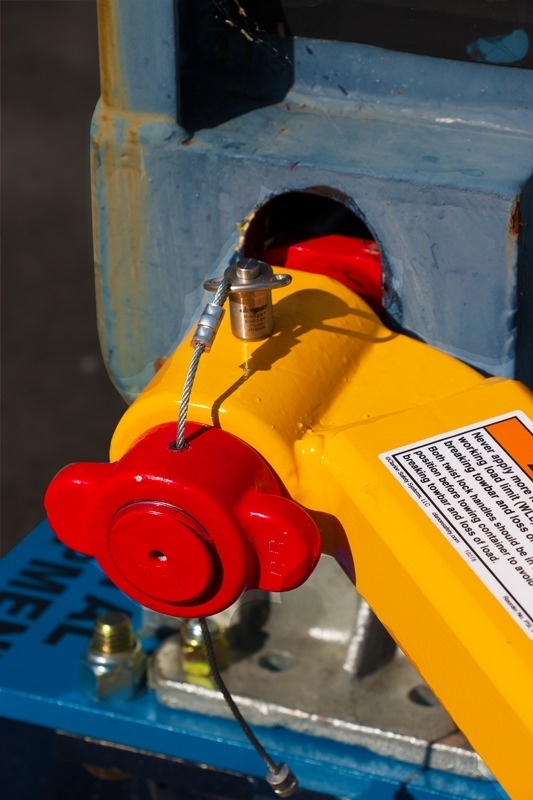 Like the AB42000A-2PA, the AB42000A-5PA has twistlocks with a looser fit, allowing for as much as a 20 degree rotation up or down, to account for the differing heights between the towing vehicle and the twistlock/corner fitting connection.